In early February, 2018, I published a blog article entitled "LiDAR" analyzing explosive new data corroborating the Book of Mormon account. Later that month, Takeshi Inomata & six associates published an article describing a major LiDAR survey of 470 square kilometers surrounding the important site of Ceibal on the great bend of the Pasión. Takeshi Inomata, Daniela Triadan, Flory Pinzón, Melissa Burham, José Luis Ranchos, Kazuo Ayoyama, Tsuyoshi Haraguchi, "Archaeological application of airborne LiDAR to examine social changes in the Ceibal region of the Maya lowlands," Plos One, February 21, 2018. Since Ceibal has been excavated more comprehensively than perhaps any other Maya site, and since he has published more Carbon 14 dates for Ceibal than we have from any other Maya site, Inomata's data serves as a major benchmark other archaeologists use to calibrate and validate their own data. The Inomata, et al. 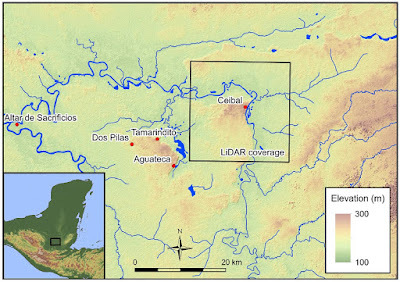 article is important because it advances a methodology for reconciling the data from LiDAR surveys with published archaeological results through surface sampling, test pitting, and boots-on the-ground reconnaissance (what archaeologists call ground-truthing) throughout the LiDAR survey area. LiDAR can report false positives (what looks like an ancient structure is actually a natural feature or a modern construct) and false negatives (what looks like a blank spot is actually an ancient structure). LiDAR provides an image of topographic features in situ at the moment of survey. Inomata's methodology helps LiDAR data shed light on a region's settlement patterns over time. On September 28, 2018, the prestigious journal Science carried a major research article authored by 18 eminent archaeologists. The LiDAR surveys we were all excited about in February have now been ground-truthed and validated with Inomata's Ceibal data. Tentative phrasing such as "possibly" has been replaced with "unambiguously." The LiDAR data National Geographic reported in its February 6th television special ("Lost Treasures of the Maya Snake Kings") is for real. 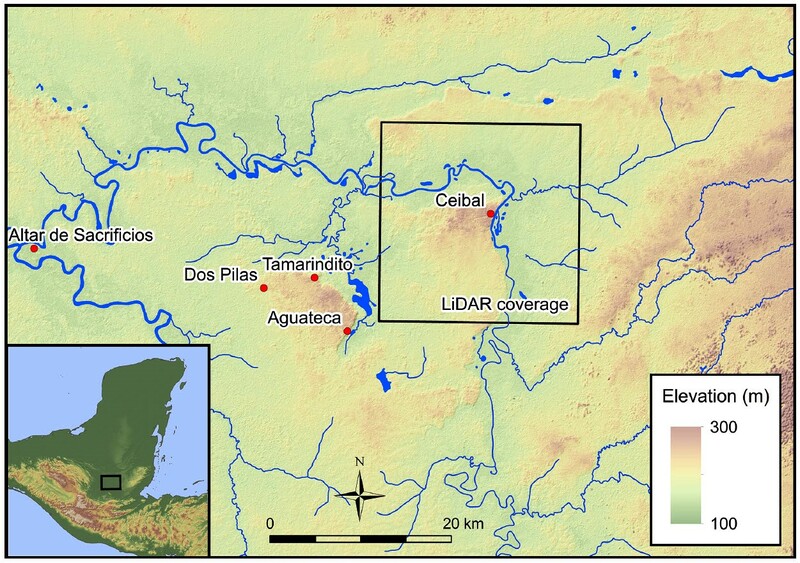 If anything, the PACUNAM LiDAR Initiative (PLI) may have under reported ancient structures by as much as 15%. This is the new article: Marcelo A. Canuto, Francisco Estrada-Belli, Thomas G. Garrison, Stephen D. Houston, Mary Jane Acuña, Milan Kovác, Damien Marken, Philippe Nondédéo, Luke Auld-Thomas, Cyril Castanet, David Chatelain, Carlos R. Chiriboga, Tomás Drápela, Tibor Lieskovsky, Alexandre Tokovinine, Antonin Velasquez, Juan C. Fernández-Diaz, Ramesh Shrestha, "Ancient lowland Maya complexity as revealed by airborne laser scanning of northern Guatemala," Science September 28, 2018, vol. 361, issue 6409, beginning on p. 1355. The large research article is summarized in a short review: Anabel Ford, Sherman Horn, "Above and below the Maya forest," Science September 28, 2018, vol. 361, issue 6409, pp. 1313-1314. The PLI surveyed 10 blocks of territory in Guatemala's northern Peten. The lowland Maya flourished from 1,000 BC to AD 1500 (European contact). The later portions of the Book of Mormon fit comfortably in this time horizon. Three of the ten survey blocks contain large numbers of structures that were abandoned in the late preclassic (before AD 250). This dating corresponds well with the Nephite record. The Maya are known for sophisticated writing, art, architecture, astronomy, and mathematics. The Book of Mormon describes this level of cultural attainment Helaman 3:15. The Maya achieved substantial ancient population. The best estimates are 7 - 11 million people in the 95,000 square kilometers of the central Maya lowlands at apogee (AD 650 - 800). The central Maya lowlands constitute about 27% of the entire Maya area (approximately 350,000 square kilometers). Book of Mormon demography is on this order of magnitude Mosiah 8:8. The Maya built "complex previously unrecognized landscape modifications at a grand scale." This corresponds well with the Book of Mormon's own description of its built environment Mormon 1:7. Across the survey area of 2,144 square kilometers, structure density averages 29 per square kilometer. This implies a population density of 80 - 120 persons per square kilometer. 35 modern nations have population densities in this range including Honduras (80), Greece (82), Iraq (88), Spain (92), Egypt (97), Costa Rica (98), Turkey (103), Austria (105), and Portugal (112). All 10 of the PLI survey blocks were in Guatemala which has a modern population density of 158 persons per square kilometer. This population was distributed across rural, periurban, and urban zones, precisely as the Book of Mormon describes Mormon 5:5. The Maya practiced intensive agriculture to sustain their massive populations. The Book of Mormon describes productive agriculture yielding surpluses Alma 1:29. Archaeologists were surprised to find extensive agricultural fields in low-lying wetlands. This implies a high degree of centralized social control. The Book of Mormon explicitly talks about centralized social control Alma 50:9. The PLI survey found approximately 106 kilometers of causeways within and between urban centers. Many date to preclassic (Book of Mormon) times. Most were 10 to 20 meters in width. The widest causeway surveyed, at Tikal, was 80 meters wide. The Book of Mormon describes roads and highways 3 Nephi 6:8, 8:13. "Sizable defensive features" imply "large-scale conflict." This sounds like a paraphrase of the Book of Mormon Mormon 8:8. The Maya had a complex economy based on agriculture and trade. Ditto the economy described in the Book of Mormon 4 Nephi 1:46. The more than 60,000 structures identified in the PLI survey required a heavy labor investment. The Book of Mormon describes public works built with heavy labor investments Alma 55:25. Structures identified in the PLI survey include multiple types of buildings, fortifications, upland and wetland agricultural features, causeways, canals, and reservoirs. This is similar to Book of Mormon verbiage. Helaman 3:9. The PLI survey found ancient landscape features even in flood-prone, poorly drained areas. The Book of Mormon describes population density increasing to such an extent that the people eventually built up even their least desirable land areas Helaman 11:20. Man-made water channels are found throughout the Maya area. One example, at Tintal, is 2.5 kilometers long. The Book of Mormon mentions ditches being dug Alma 53:3. Stone walls as long as 1 kilometer have been discovered. The Book of Mormon explicitly mentions walls of stone Alma 48:8. Archaeologists have found evidence of cultivated fields, orchards, and household gardens. The Book of Mormon describes farmers raising grain and fruit as well as pastoralists raising animals Enos 1:21. The PLI survey implies agricultural land dedicated to fiber production. The Book of Mormon describes cloth production Mosiah 10:5. Portions of the PLI survey blocks remained in old growth forests. Forests are mentioned in the Nephite text Enos 1:3. Portions of the PLI survey blocks contained relatively few structures of any kind. Archaeologists called them "vacant." The Book of Mormon describes tracts of wilderness adjoining settled lands Omni 1:12. Maya cities had dependent hinterlands. The Book of Mormon describes these periurban edges as "the land round about" Mosiah 23:25. Some Maya urbanizations were formidable. The center of El Perú-Waka' had a density of 1,100 structures per square kilometer. Tikal extended over at least 76 square kilometers. The Tikal palace had a man-made reservoir that held 31,000 cubic meters (8 million gallons) of water. The Book of Mormon mentions great cities 3 Nephi 9:3-5 and implies a high level of urbane sophistication Helaman 3:14. The Book of Mormon describes warfare in considerable detail per Nephi's original instructions to his posterity 1 Nephi 9:4. The PLI survey provides more information than we have ever had before about defensive structures in the Maya area. Now things get very interesting. The Maya built five different types of defensive fortifications that show up on LiDAR. Two of them (landscape ditch and rampart, hilltop ditch and rampart) are precisely the kind of fortifications the Book of Mormon describes Alma 49:18. A third (stone wall) is also attested in the Nephite text Alma 48:8. The PLI survey found 31 instances of defended areas in the 2,144 square kilometers they mapped. This high fortification density was entirely unexpected, but it fits comfortably into Captain Moroni's world Alma 50:1,6. Ubiquitous defensive structures, previously known only from the Book of Mormon, are now attested archaeologically. Some parts of Maya cities were more heavily fortified than others. The Book of Mormon explicitly says cities had stronger and weaker areas Alma 48:5. Some Maya cities were more heavily fortified than others. The Book of Mormon describes precisely this situation Alma 49:14-15. We have known about fortified Maya cities since the 1960's when reports on Becan and Tikal were published. The PLI survey showed that the Maya also built small military forts designed for brief stays remote from urban cores. Scholars did not see this coming, but it is exactly what the Book of Mormon describes. Archaeologists call these isolated structures "refuges" and five of them are identified in the Canuto, et al. 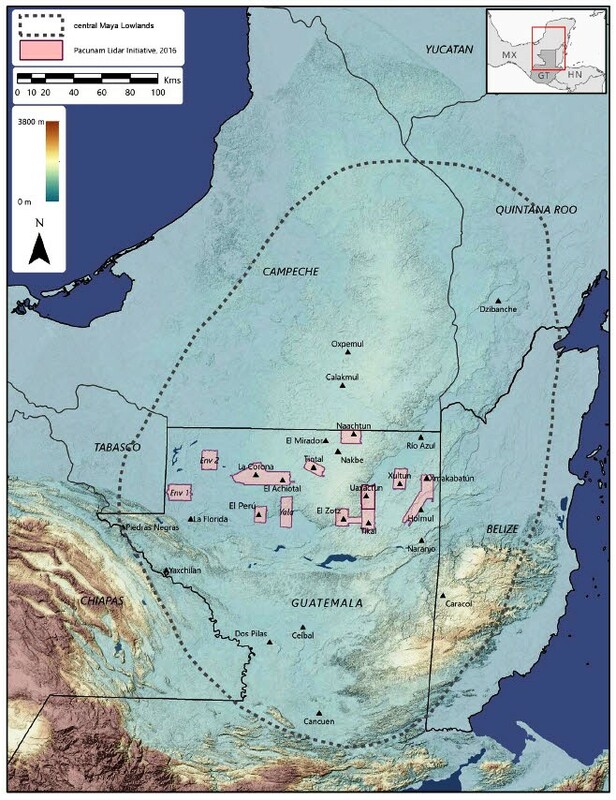 article (RS028, Turca East, Kanalna North, Kanalna South, and El Achiotal Peninsula. The Book of Mormon calls them "small forts" and "places of resort" Alma 48:5, 8; 52:6. A defensive structure built primarily for occasional military use, previously known only from the Book of Mormon, is now attested archaeologically. The article "Light from Guatemala" discusses the spectacular fortress called La Cuernavilla that dominates a steep ridge between El Zotz and Tikal. The 2016 PLI survey, now ground-truthed, demonstrates monumental Maya engineering, architecture, and construction on a much grander scale than previously thought. World class archaeological data now vindicates many Book of Mormon passages. Kirk Magleby volunteers as Exec. Director of Book of Mormon Central (BMC), a publicly-supported non-profit that builds enduring faith in Jesus Christ by making the Book of Mormon accessible, comprehensible, and defensible to the entire world. BMC currently publishes in English and Spanish. Article updated March 4, 2019.